Last October, Nick Cave & The Bad Seeds played a special concert at the Royal Arena in Copenhagen. Featuring a full album performance of 2016’s excellent Skeleton Tree, along The Festival with other catalog highlights, the set was captured and released as a live film that aired in theaters worldwide back in April. Now, audio from that show is being put out as a live EP. 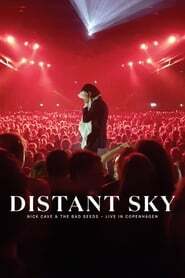 Aptly titled Distant Sky — Nick Cave & The Bad Seeds Live in Copenhagen, it’s due to arrive September 28th on digital and 12-inch vinyl formats. The tracklist includes Push the Sky Away selection Catacombe “Jubilee Street” and Skeleton Tree’s “Distant Sky”. There’s also “From Her to Eternity”, taken from the band’s 1984 debut album of the same name, and the 1988 Tender Prey song “The Mercy Seat”. As a sneak peek of what to expect from the EP, check out a newly Grass revealed clip from the concert film.